This is one of the best books on metaphysics of time. It's great on the relationships between time and memory and time in art. 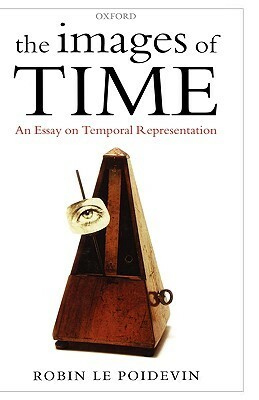 The main thesis here is to "show how the nature of time and the representation of time interacts." Being a philosophy professor, the author concentrates on the latter but I am more into the former(and the interaction)...A mismatch of my own fault. The book is divided into 3 parts, "Aspects of Time and Representation"(Epistemology), "Memory and Perception" (Past,Present, Duration and Order) and "Art and Fiction"( Instant and Time in Fictional work). It's more for reader with a basic understanding in epistemology . As I am not, it's daunting but not impossible ,thanks to the conclusions provided at the end of each part. If you come from "A Brief History of the Philosophy of Time" (I did), you may want to skip this book as it's definitely more niche and advanced than those mentions in that book suggests. Robin Le Poidevin - Robin Le Poidevin (born 1962) is a Professor of Metaphysics at the University of Leeds whose interests include the nature and experience of time, agnosticism, and philosophy of religion. He joined the Department of Philosophy at Leeds in 1989 having completed postgraduate studies at both Oxford and Cambridge, obtaining his MA from the former and his PhD from the latter.He is also the current president of The British Society for the Philosophy of Religion.From 1998 to 2001 he was Head of Department, and in 2000 was appointed to a personal chair in Metaphysics. He is a member of the Centre for Philosophy of Religion, the Centre for Metaphysics and Mind, and is the Editor of Religious Studies, and Past President of the British Society for the Philosophy of Religion.In 2007 he gave the Stanton Lectures in the Philosophy of Religion at the University of Cambridge, and in 2012 was Alan Richardson Fellow in Theology at the University of Durham.